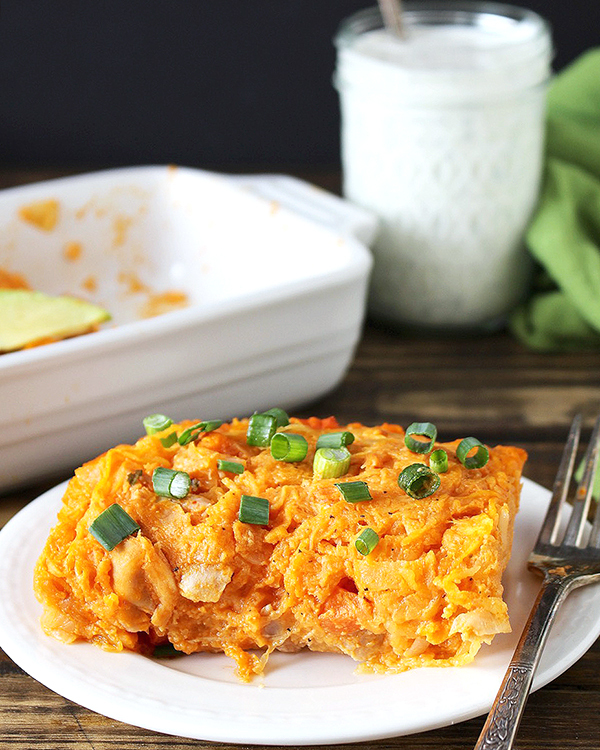 This Paleo Buffalo Chicken Casserole is healthy, full of flavor, and comforting. So good you’ll be coming back for more. Whole30, gluten free, dairy free, and low carb. 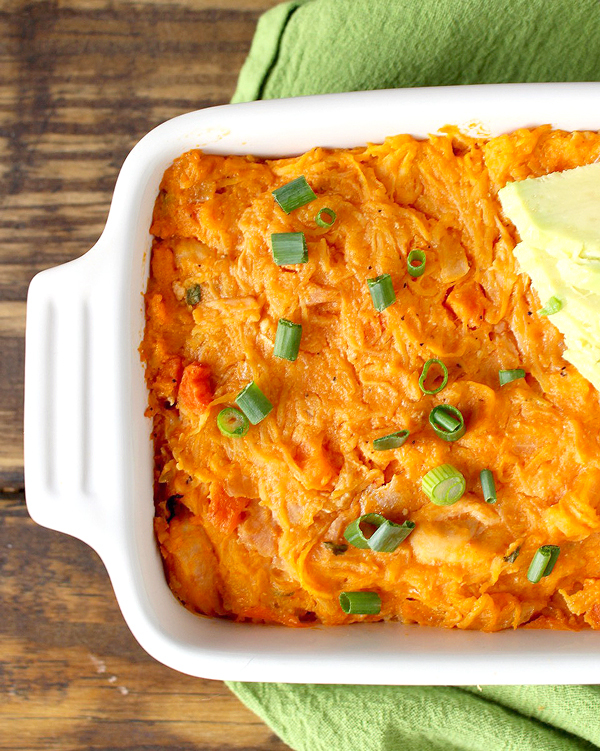 My husband loves buffalo wings and basically anything buffalo- this casserole included. I don’t like buffalo at all and he is pretty happy about that. He gladly ate this whole thing and I’m pretty sure he was grateful that he didn’t have to share. Now, it’s not the prettiest meal ever, but it is tasty! It makes quite a bit so perfect for meal prep and eating all week. My husband even ate it cold one day when we were on the road and loved it. Buffalo and ranch are a classic combination so I had to add some ranch right in to the casserole- that was a good choice. It adds a lot of flavor so it doesn’t taste just like buffalo sauce. It’s like all the flavors of a wing packed into every bite. You can even add more ranch to it once it’s done cooking if you want. I cooked some chicken thighs and added them, but left over roasted chicken or poached chicken will also work. Here is how I cooked the spaghetti squash and you can even do that a day in advance. 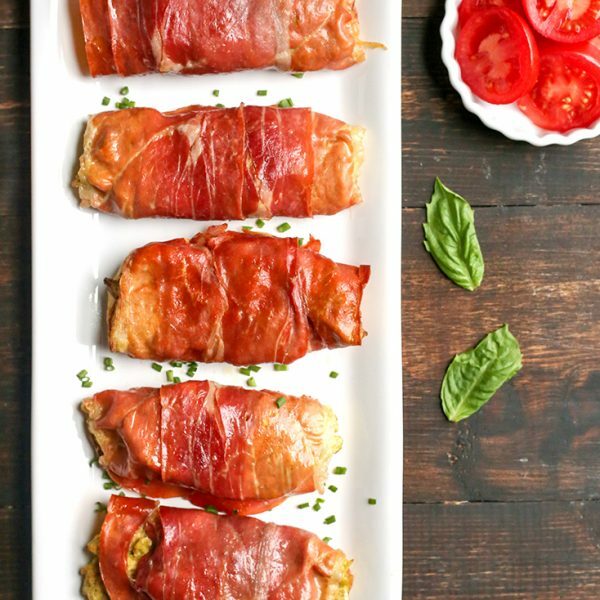 This dish does take a little prep, but it’s not hard and it is definitely worth the effort! 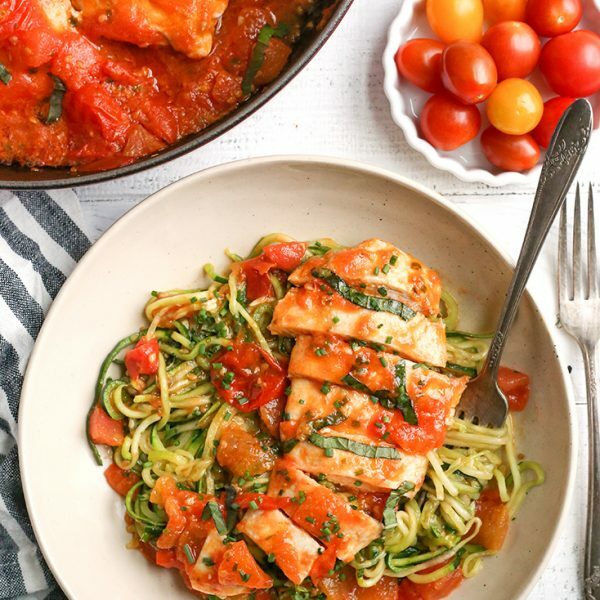 This meal is packed with veggies, but you can’t even tell! The spaghetti squash gives you that pasta feel and the onion and carrots are cooked down and covered in sauce. 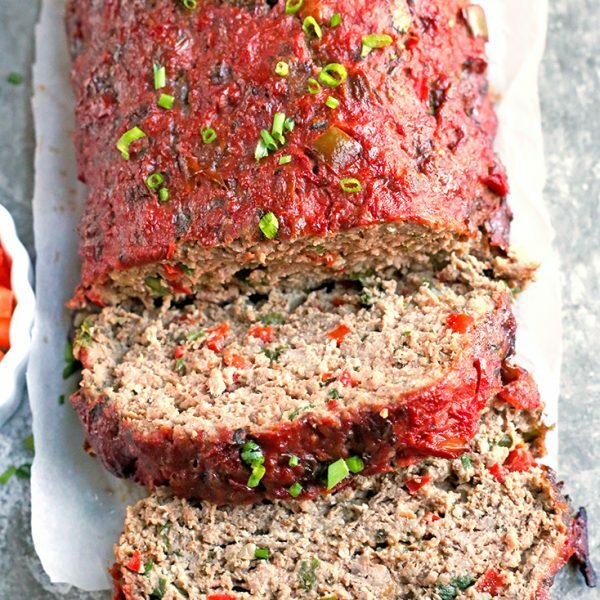 It’s perfect for picky eaters! I also love that it’s an all-in-one meal. No main dish, side, etc. That is why I’ve always loved casseroles- only one thing to reheat for leftovers. 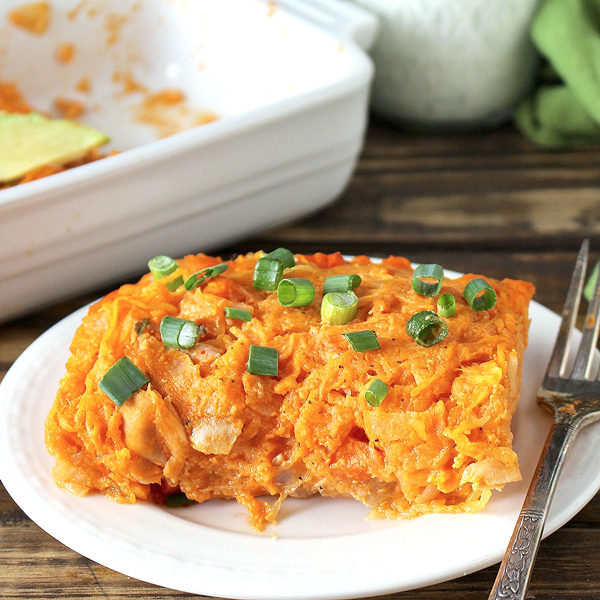 If you love buffalo wings then you will love this Paleo Buffalo Chicken Casserole! It is a fun, healthy way to get that craving! Of course it’s Whole30, dairy free, and gluten free. Here is the Ranch Dressing that you’ll need- it’s super easy. Enjoy!! Preheat oven to 400° and line a 13x9 pan with parchment paper and set aside. While squash is cooking, sauté the onion and carrots for 5-7 minutes- until softened and mostly cooked through. Shred squash with a fork and place in a large bowl. Use a clean towel and press the liquid out- it doesn't have to be super dry, but this helps make the casserole not too watery. Add the onion mixture to the bowl along with the chicken, hot sauce, ranch, garlic powder, salt and pepper. Stir well. Add the eggs, mix well, and pour mixture into the prepared pan. Serve with additional ranch if desired. 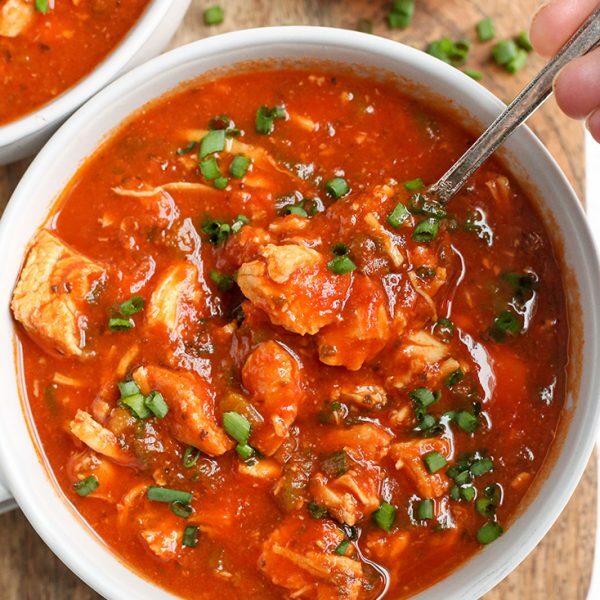 *This is spicy with a full cup, so use 1/2 cup if you like more mild or making for kids. Just wondering if these recipes are weight watcher friendly? Hi Ruth- most of my recipes are not since they are high fat and WW tends to favor low fat recipes. But I have been told that this recipe is WW friendly. You’ll need to calculate the points though- I don’t do that. This was so delicious, I used mushrooms instead of chicken to make it vegetarian. Thank you for such great recipes. You’re welcome, Susan! Thanks for trying them!